← Is the Bible Outdated and Unreliable? 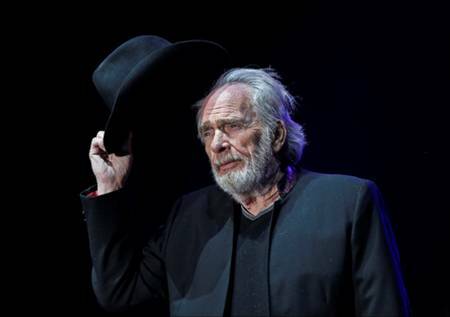 Wednesday was Merle Haggard’s 79th birthday. Ironically it was the day he died. Haggard has been hailed as a country music “icon.” A “legend” in his own time. “A pioneer.” “A true entertainer.” And “the outlaw of country music.” Haggard did more than sing country music. He lived it. His troubled youth, brushes with the law and imprisonment in San Quentin are well documented. Johnny Cash advised Haggard to write and sing about the darker side of his life. “Mamma tried,” one of his 40 #1 hits, was an apology of sorts to his hard-working, Christian mother for his rebellious life. The apostle Peter penned, “we are partakers of the divine nature.” God has placed within us the desire for more than momentary pleasure, material possession, or majestic position in life. Jesus said, “I have come that you might have life–life in all it’s fullness (Jn 10:10). A rich life. An abundant life. A fulfilling life. Is found in Christ. In reaching our spiritual potential. Of achieving our real purpose in life. And resting in His divine promises. To the restless soul, weary, and burdened, Jesus calls, “Come to me, and I will give you rest. Christ” I found that statement in the news article very interesting. Murphy, I did not know that. But it seems you are right. I checked some other sources that they verified it. Interesting!